Win 1 of 4 pairs of tickets to an upcoming Fortunate Youth Show on their Spring Roots Tour featuring Inna Vision. You can only submit your information once. The 4 Winners will be randomly picked, you will receive a confirmation email upon submitting the form below. 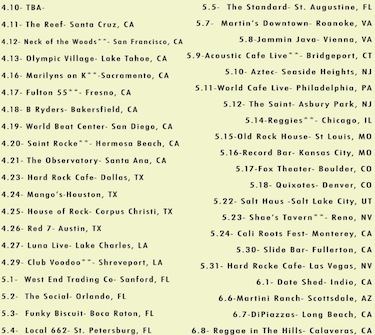 MusicBailout.net or Fortunate Youth will only contact you if you win. Winners will be e-mailed April 7, 2013. Be sure to check your spam mail as well just in case. This contest is brought to you by MusicBailOut.net and Fotunate Youth.